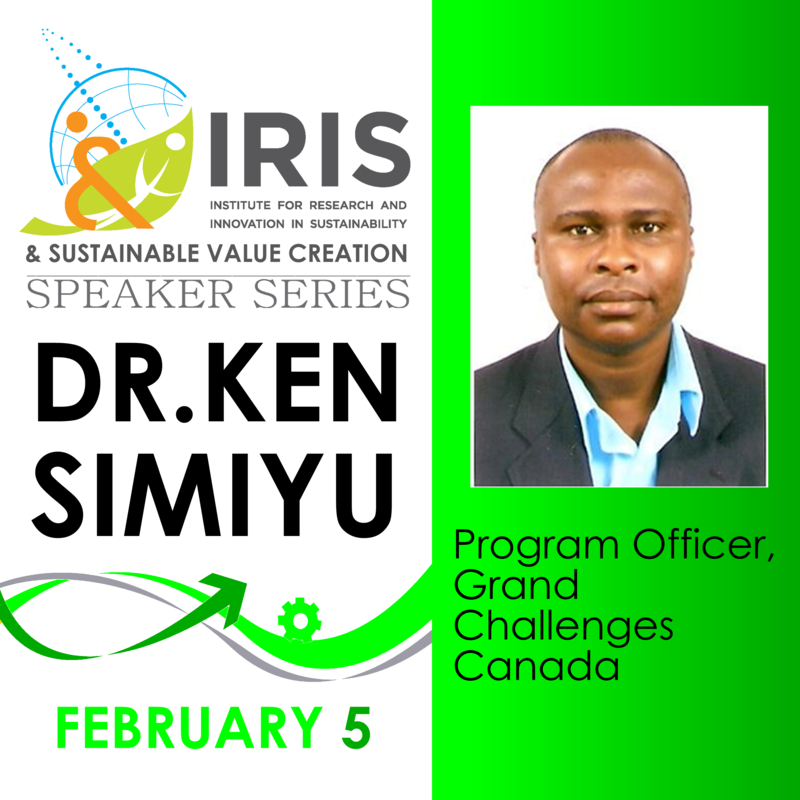 This joint Speaker Series is brought to you by IRIS and Schulich Course Director Dr. Kevin McKague and his MGMT 6500 Sustainable Value Creation course (Business Model Innovation for Poverty Alleviation), which is cross-listed by both the Centre of Excellence in Responsible Business and the Nonprofit Management Leadership specializations at the Schulich School of Business. Guest Speaker: Tal Dehtiar, Founder and CEO, Oliberté and one of Fast Company’s Most Creative Business People of the Year. 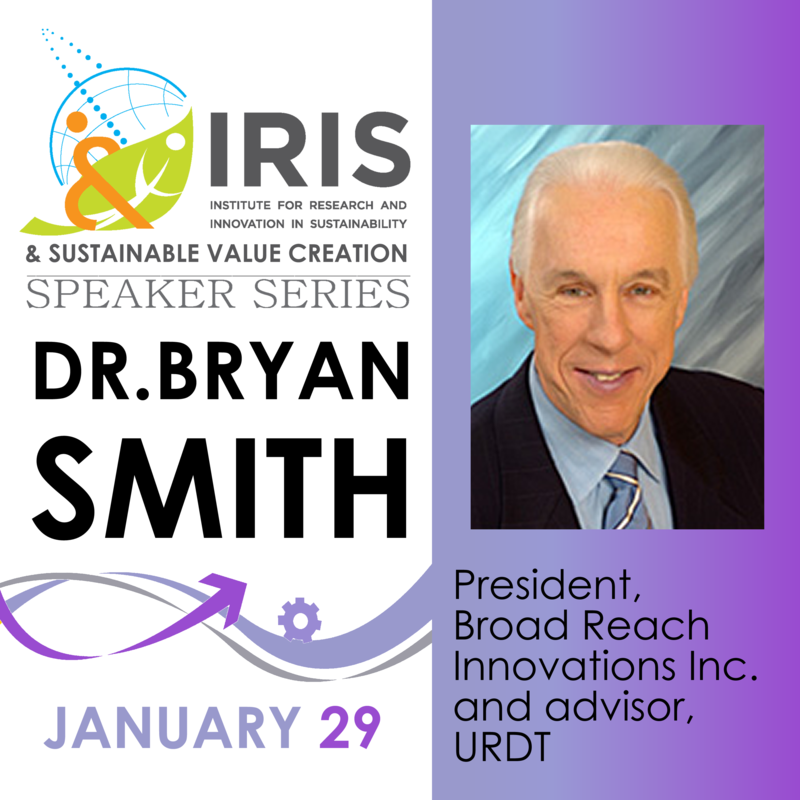 Guest Speaker: Dr. Bryan Smith, President, Broad Reach Innovations Inc. and advisor, URDT. 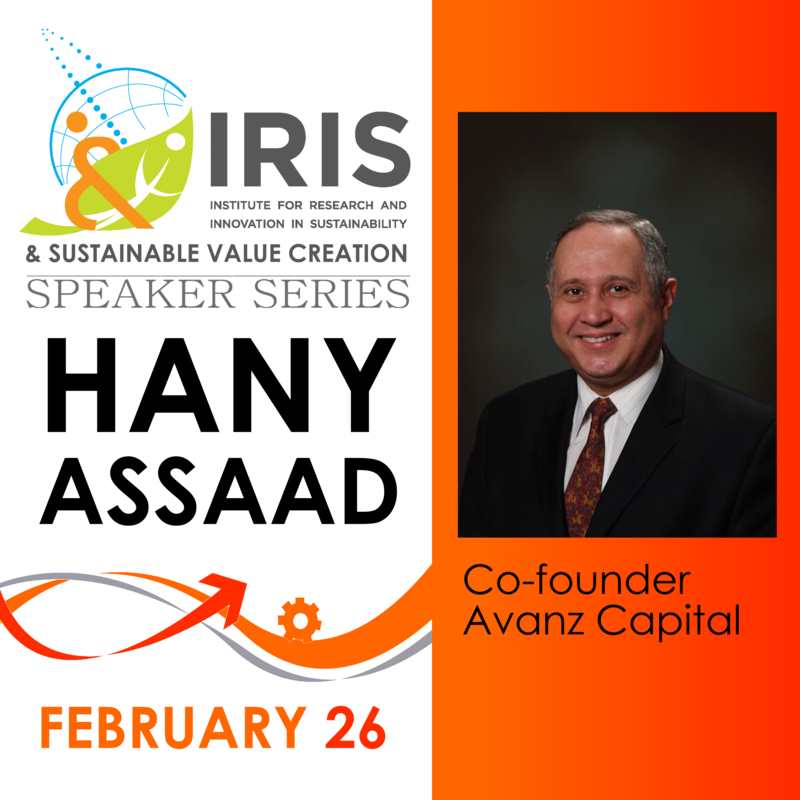 Guest Speaker: Hany Assaad, Co-founder Avanz Capital. Guest Speaker: Angie Drascovic, Founder and CEO Zoë Alliance.